Whether it is a stay for fun or adventure, for well-being or gastronomic, top up with emotions and set your tracks towards surprises and discover unusual moments! Certainly, the Black Périgord is not just a gourmet’s paradise renown for truffles, penny bun cep mushrooms, foie gras and duck, strawberries and walnuts. It is also the crossroad where pre-history and history compete with their treasures, a Land where Mankind has chosen to live since the mists of time and has left a heritage of exceptional master pieces, witness the Lascaux paintings and other pre-history sites classed Unesco World Heritage (caves and caverns), its thousand and one Castles, fortified Bastide towns, Gardens, Medieval cities and renown Vineyards. 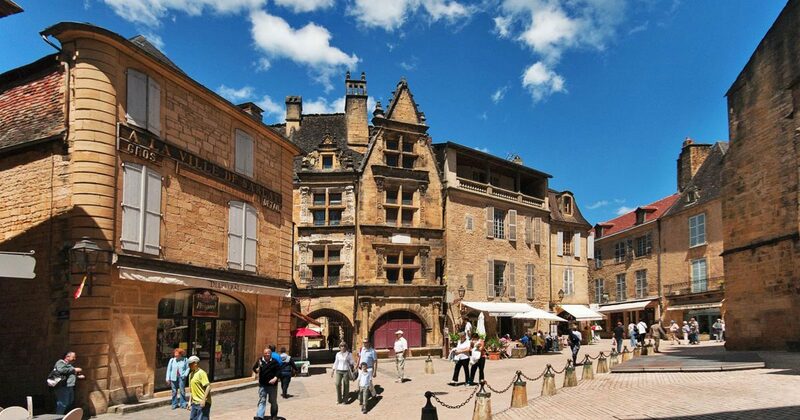 Our Hotel overlooks Sarlat-La-Canéda, Town of Art and History. In a few minutes, dive into this fortified town and stroll through its medieval alleys and lively squares. 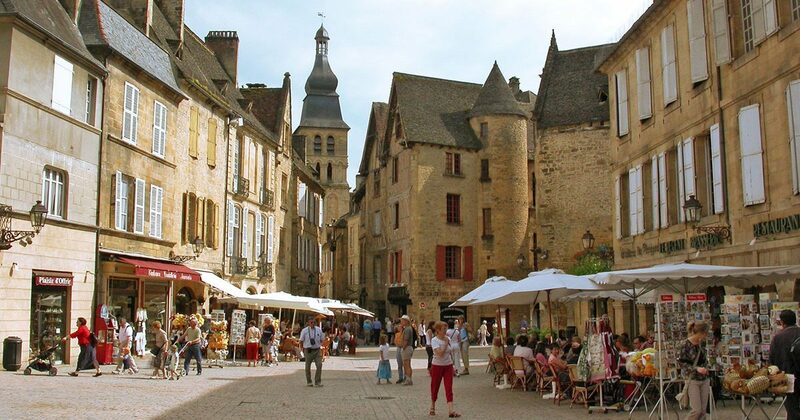 Visiting the town of Sarlat: All year round, guided or audio-guided tours of the medieval city. For your information: In July and August, the Sarlat Tourist Office is open throughout the day from 09h to 19h on week days and 10h to 13h and 14h to 18h on Sundays. 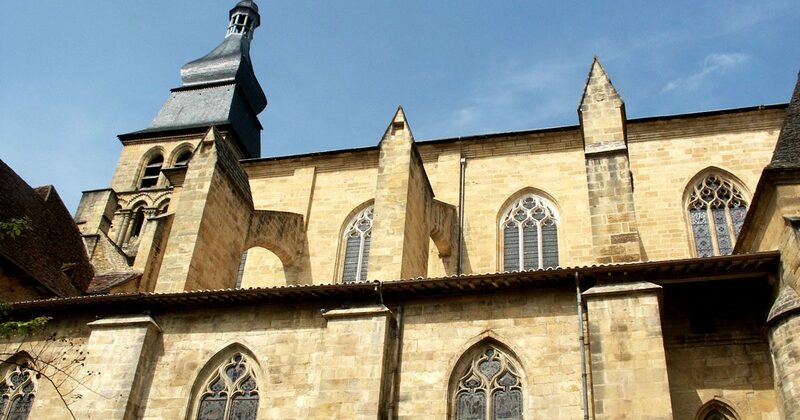 The panoramic lift: In the church of Saint Marie, discover Sarlat with another eye. Or those dedicated to truffles from December to February. In the vicinity of the most beautiful sites, Nature lovers and enthusiasts for out-door pursuits will find something to please in the Black Périgord with more than 1,130 km of hiking, horse or VTT trails and of course the extraordinary canoeing or kayaking down the Dordogne and Vézère rivers.